Tell me if this sounds familiar. You want to do a comprehensive analysis of your customers--to identify high-value buyers, or those who haven’t ordered recently, or heavy support users--but it requires combining disparate data sources (say Zendesk, Salesforce, and Marketo data). So you centralize the data in your data warehouse and load it into your data tools, run the analysis, and then want to take some action based on the results. Maybe you want to email users with falling engagement scores, or offer a coupon code to high-value users, or flag habitual support users for your support team. But that requires getting your analysis out of your data tool and back into your email tool...or your support desk...or your ecommerce platform. So you manually download CSVs and send them off to other teams who can upload this information to the appropriate tool. And next week, when you want to rerun the analysis with fresh data, you do this whole inefficient process again. What you really want is a complete loop. A way to run your analysis, write the output back to the source system, and keep it updated with the latest results. And that’s what we’re launching today with our partners at Segment! Looker’s Segment Source Integration will allow customers to send out data to a variety of integrations for marketing automation. Looker customers can now push User Cohorts to Segment, which can allow for actions on that data with third party applications like Marketo, Hubspot, Appboy. This means you can trigger marketing campaigns, activate win-back campaigns, and define custom email cohorts right from the Looker interface using the the power of Looker and Segment. Read on to see how it works and check out Segment’s blog post! With Looker, it’s easy to model customer behavior and make the data available to your organization. For instance, let’s consider an eCommerce example, where Segment events and Segment Sources data from Zendesk and Stripe are made available in Looker. This dashboard gives us an overall view of the visitors to our site and their characteristics: their engagement based on site behavior, their satisfaction based on indicators from Zendesk, and their plan level from Stripe. But what if we want to dive into the details? With Looker, it’s easy to model complex analyses involving different data sources. We probably want to dig deeper into our customer base with a high satisfaction score who have not recently placed an order. Below, we can see the breakdown of score and latest order for our customers. Now that we’ve identified a cohort of customers we’d like to target, we can just drill in to get the list of users we’d like to target. Then, we can schedule that list to Segment, just once or on a recurring basis. 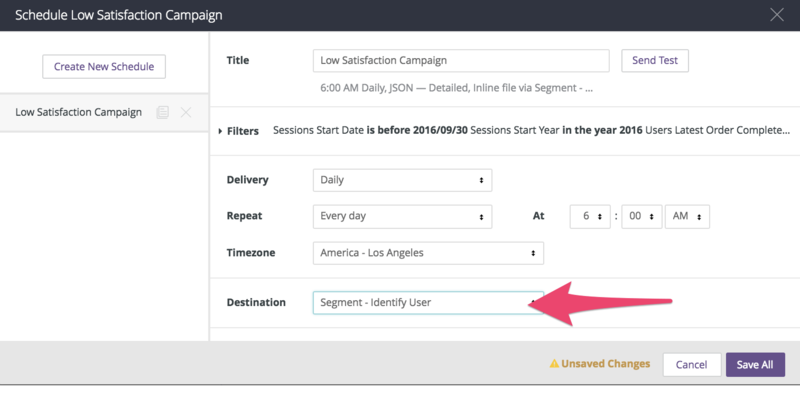 The list of users is now available in Segment through identify calls sent by Looker - so you can send them to any of your connected integrations, like Marketo to send a campaign to re-engage your inactive customers. In the Admin panel, your Looker admin clicks on Integrations (4.18-5.4) or Actions (5.6+), then enables the Segment integration by adding your Segment write key. The Segment integration also requires dimensions to be tagged as email or user_id in LookML. Simply have the tags parameter added to the relevant dimensions in your LookML project. You can find implementation details on Discourse! Reach out to your Looker Account Rep to get started now! 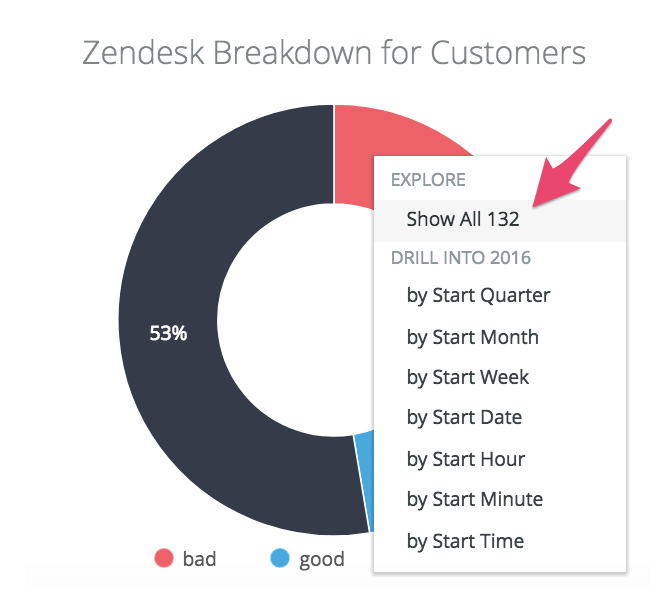 Start analyzing your data with Looker and Segment, try Segment out for free. Request a free Looker trial.